This is a personal finance blog. So obvious we’ll be talking about the negative financial aspects of patronizing restaurants. 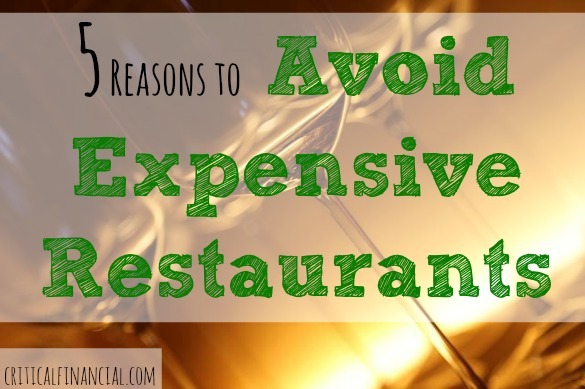 But the downsides to eating out go beyond your wallet. This post will also cover such thing as health and happiness. Restaurants really are a drag when you think about it. However, everyone must visit a restaurant at times. At the end of this post, we’ll talk about what you can do to protect yourself while there. Reason Number 1: Restaurants are expensive! Some restaurants have a markup of 300%. That’s like paying ten cents in a grocery store or paying $3 in a restaurant. If you’re looking for good value per dollar – you’ll never find it in a restaurant. Oh, and don’t forget about the tip. Reason Number 2: The added calories! When you go to a restaurant, how often do you ask for calorie counts of all the dishes you’ll be eating? Probably never. The restaurants count on that. However, chefs understand everyone will taste the food. Taste is king. Health comes second. That’s a silly way eat food. After all, food is meant to nourish our bodies so we can keep on living – taste should be second to health. Not all restaurants are clean. I once spoke with a health inspector who had quite the horror stories to share. I used to work at a restaurant. Whenever I see an open kitchen at a restaurant, I take a peek to check its cleanliness. I usually see infractions. This reminds me of growing up on a farm. When animals eat alone or with just a few other animals, illnesses don’t really spread. But when you group dozens of them together… everyone gets sick. It’s especially smart to avoid restaurants in the winter time. Restaurants can be a piety dish of germs. With everyone sharing glasses, plates, utensils… you’re bound to get sick if you eat out often enough. 3. Eat a dish that may be so bad you have to go home and cook something anyway. A lot of dishes are chalked full of MSG, little protein, and simple carbohydrates. That’s a recipe for midnight cravings. Many restaurant dishes (I’m especially calling out Chinese restaurants here) won’t keep you full for a long period of time. 6. Plan a workout for the next day to burn off the food you ate the night before. Note: Exercise is 80% what you eat and 20% activity levels. You can’t simply exercise your way out of a terrible diet. We all must go to restaurants at some point in our lives. There are ways to survive. Here are a few quick tips. 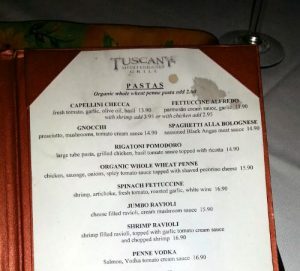 Not everything about restaurants is bad. They have their place in society. I encourage you to use these tips next time you get hungry. They will save money, time, and guilt. © 2012 to 3677 Critical Financial. All rights reserved.